Free Malaysia Today reports on lawyers supporting and echoing Edmund Bon’s criticism of the Bar Council “becoming toothless” in the face of injustice in his interview with FMT. 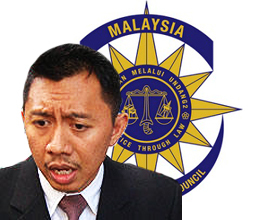 FMT KUALA LUMPUR: Several lawyers have voiced their support for Bar Council member Edmund Bon, who criticised the council for being toothless and not standing up for the rights of the people. He pointed out that council members had a duty and that duty did not differ from the duty of every lawyer in Malaysia, which is to act without fear or favour. He said that council members were not elected so that they could get titles or accolades or rub shoulders with judges and leaders of the government. “They were elected because members of the Malaysian Bar want them to be their voice and conscience. The real issues are those raised by Bon (in his interview with FMT),” he added. Amer told FMT that Bon was not the only one who had heard murmurs of dissatisfaction among Bar members. He said lawyers and the public were turning to alternative avenues to air their problems because they felt that the council would not be able to effectively raise the issue with the powers that be. “As a result of this, websites such as LoyarBurok and e-groups such as ‘Lawyerstalk’ and ‘Transformed Bar’ have become outlets for lawyers and the public to voice their dissatisfaction on the judiciary or government when such issues should have been taken up by the council,” he added. Agreeing with Amer, senior lawyer T Gunaseelan said the Bar Council’s office-bearers were ineffective and no longer served the interests of Bar members. “It is obvious that the chief justice and attorney-general have no regard for the views of the Malaysian Bar. Important legislations are passed without any concern about the views of the Bar. “Even measures taken with regard to court procedure are just bulldozed through. We never seem to learn from past experience,” he told FMT. 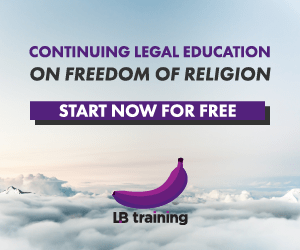 He noted that it was compulsory for all lawyers to be a member of the Bar under the Legal Profession Act but if this was optional, many would opt out. 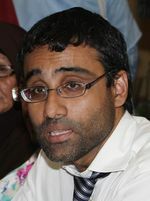 Lawyer N. Surendran criticised the council for not doing enough to stand up against the authorities, and this was apparent in its views (or lack thereof) over the absence of action on the allegations of corruption against Chief Justice Zaki Azmi, which was exposed by lawyer Karpal Singh. “The council is also not critical enough of the chief justice’s arbitrary decision on the administration of justice in this country,” he said. Surendran also lambasted the council for failing to express its views on the courts’ tendency of making decisions in favour of the government. Another critic, N. Thirmoorty believes that Bon had hit the nail on the head with his criticisms. “I strongly believe the council is not delievering what is expected of them and they been selective in their action,” he told FMT. “Those critical of the council are sidelined and their views are not taken into consideration when making a stand on major issues,” he said. The Bar Council is the leadership body of the 13,000-strong Malaysian Bar. I have two words – Bigger Picture. I do not know what goes on in the Malaysian Bar, but instead of complaining about the things that Bon has said, issues that have been highlighted should be dealt with.